The Foothills Regional Landfill and Resource Recovery Centre (LRRC) has been working with Rebound Recycling since February of 2016, to collect and recycle underlay and foam. To date, the site has diverted and recycled 10,065 kg of material with the cooperation of our customers. 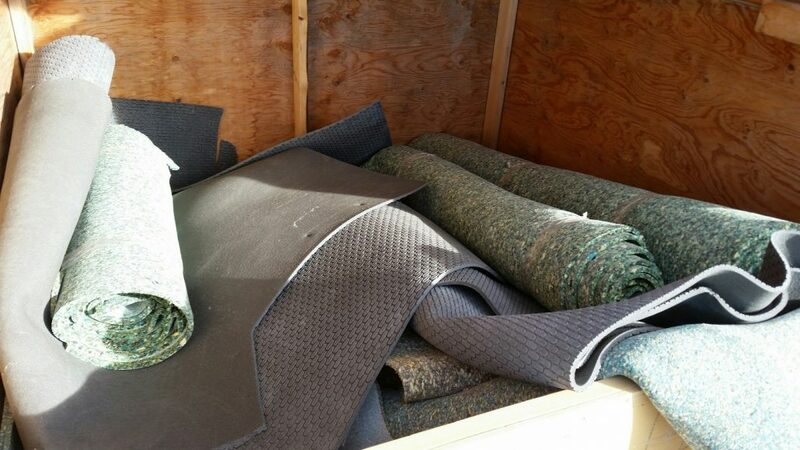 Most of this material is separated out from mixed loads at the landfill “throw & go” area, collected by Rebound Recycling, and transported to Calgary where it is shredded, cleaned, and repurposed into underlay material. Underlay loads are free for customers, though loads mixed with other waste products will be charged standard rates. This has been a success story for the LRRC and we hope that customers will continue to bring underlay and foam material for recycling.